SparkFun Inventor’s Kit for RedBot. I get many questions from people about how I think kids and adults should get started in robotics, how they should progress, and what they should buy, to learn about robotics. This is a quick guide to help you get going. I’ve described three levels below — Level 1 is for people older than 12; Level 2 is for people older than 15, and Level 3 is for people over 18. An adult can probably start at Level 2 if desired, however starting at Level 1 will give you important basic skills and knowledge that you can build on. Don’t worry about the details. You do not need to learn how SPI or wifi work, for example, but you will slowly pick up the details as you use them. Set a clear and realistic goal – Robots are hard, so match your expectations to your skills. Your first robot should be really simple. 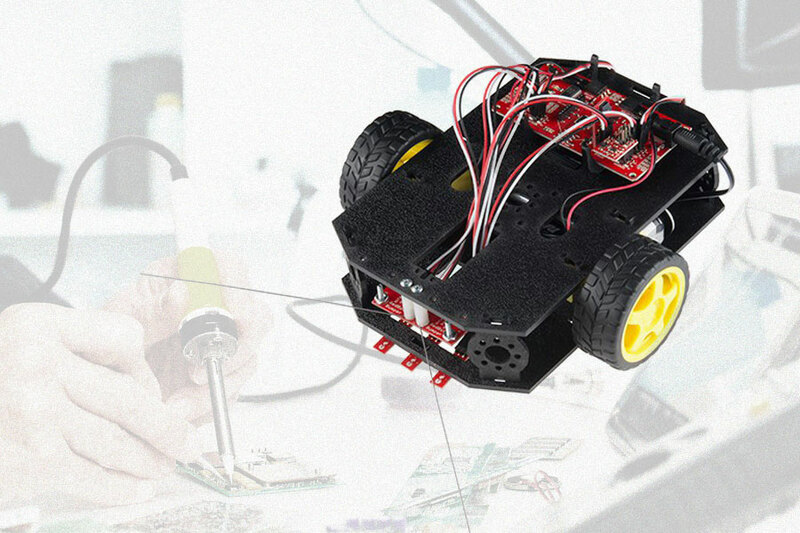 Get your hands dirty – Learn how to mechanically and electrically build a robot. For this task, design and build a robot that uses an Arduino Uno, 2-4 motors, 2-4 simple sensors, a switch, a LED and a battery. The Sparkfun Inventors Kit for Redbot is a great choice for this step. Design on paper what the robot should look like and the parts that you need (if you buy a kit, use it, but then modify it). 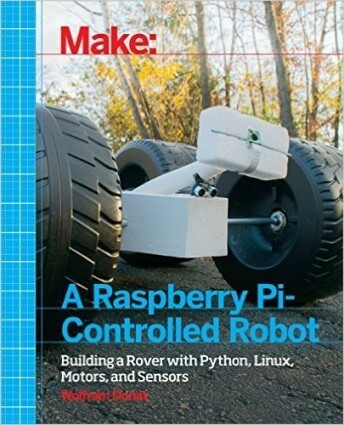 Build the robot using basic hand and power tools. 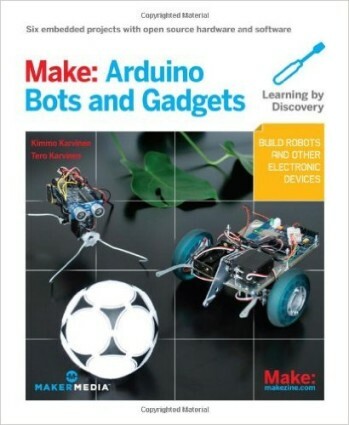 Learn how to program – Use the Arduino to program the robot. Start by simply making the light on the Arduino blink. If you have never done this before, it will take longer than you think it! Read from your sensors and play with them – use Microsoft Excel to generate a calibration curve. Combine the sensors and motor code to do what you desire. Set a clear and realistic goal – Build upon what you learned in Level 1 to set goals for level 2. Think about how you will interface your sensors to the computer? Use new materials and construction techniques. Try to use a 3D printer or laser cutter if possible. Learn how to program – Use the Linux computer to program the robot. Learn basic C++ or Python, try talking to serial ports. Make your robot act as desired. Set clear and realistic goals – You should increase the difficulty of your goals as you advance. At this point, try setting a goal that you’d like to attempt, even if you are not sure you can achieve it. Learn basic trig and statistics – Learn the basic math that you need for robotics. Get someone else’s hands dirty – Design a part and shop it out to be machined. Learn how to use more advanced sensors – Such as a Camera and/or LIDAR. Software – Learn the Robot Operating System (ROS). Each level will take time to develop and learn, but following this path will ensure that you have the knowledge you’ll need to progress to the next level. I tend to like Sparkfun for buying hobby parts. Other places you should look are Adafruit, and Pololu. They all have blogs and tutorials for using the hardware they sell, including basic robotics, Arduino, and Raspberry Pi.